Protech TR-3 3D Eagle red white and blue with a Damascus Blade Limited Edition automatic knife. 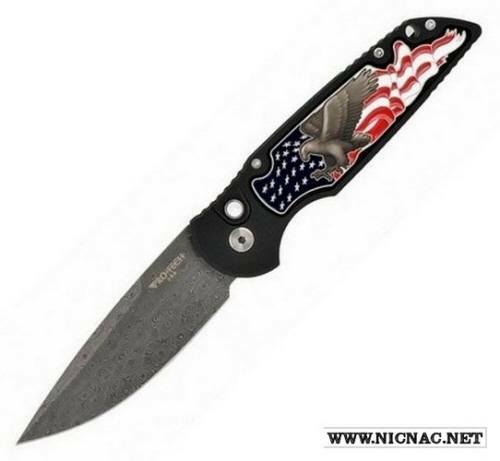 This awesome automatic knife from Protech has a coin struck inlay with a 3D Eagle, red-white-blue enamel fill, black handle, mother of pearl push button, and stainless "FireBall" Damascus from Rob Thomas. Individually serial numbered of only 30 knives! Don't miss out on this one!